Set in a picturesque horseshoe bay, the adults-only Grupotel Playa Camp De Mar is the perfect spot for a romantic holiday. Set on an idyllic beach, the four-star hotel overlooks lush pine-covered cliffs and sparkling blue waters of the Mediterranean. Soak up the sun on the white sands of Mallorca’s south coast, snorkel in the crystal-clear waters and dine at the bars and restaurants nearby. Take a dip in the outdoor swimming pool or the hot tub and soak up the gorgeous scenery, or hit the beach for some exhilarating water sports. The on-site buffet restaurant serving breakfast, lunch and dinner takes care of your hunger pangs. In the evenings, you can look forward to theme nights, dancing, comedy and cabaret. 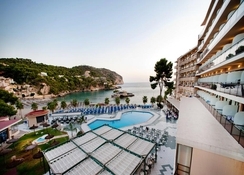 Grupotel Playa Camp De Mar, overlooking the stunning Camp de Mar bay, is located 10 km from the lively Santa Ponsa resort. It’s barely 3 km from the lovely sandy beaches of Paguera, accessible by a regular bus service. 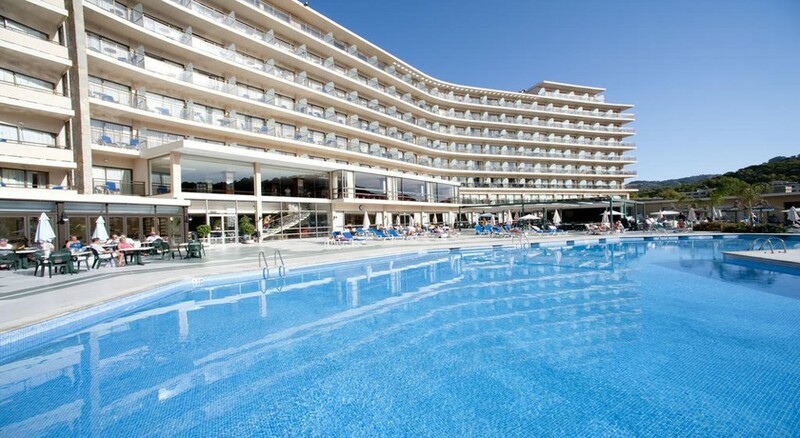 Grupotel Playa Camp de Mar, positioned on the edge of the beach, offers 270 rooms, across seven floors. It features double rooms adapted for people with reduced mobility. Pick from single and twin rooms with sea views and attached balconies. The sea-view suites come with whirlpool baths. The main restaurant serves breakfast and dinner, which features local cuisine as well. There are themed evenings, show cooking and gala dinners. Check out the Lounge Bar, where you can enjoy cocktails on the terrace or get your snacks and drinks served by the poolside from the pool bar. There’s also a café where you can enjoy coffee and snacks. 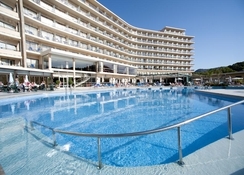 The pool is a great place to spend time, with great views of the sea and a whirlpool bath to indulge in. Or just relax on a sunbed and enjoy a drink. Evenings means game shows, cabaret and live music, whilst during the day, you can play boules, tennis and table tennis. Or hire a bike and cycle along the coast. Golf enthusiasts can tee off at the course in Camp de Mar and Santa Ponsa. 10 km from Santa Ponsa resort. 3 km from the sandy beaches of Paguera. 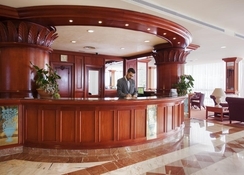 There are some services that have an extra cost and all rates are to be paid directly in the unit.